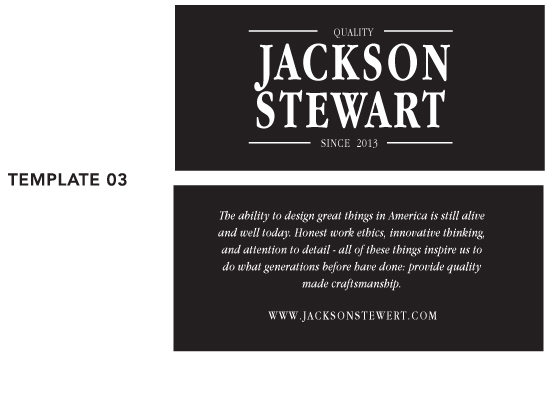 An awesome hang tag is an important part of branding strategy. If your tag looks cheap, customers may think that your product is of low quality. 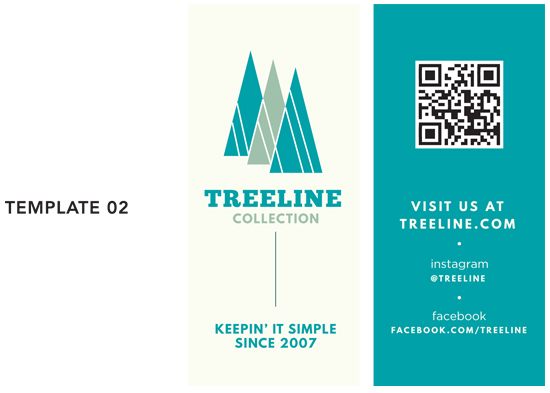 If you sell or market products at the retail level, or even if you sell clothing or accessories online, you know all too well the importance of a unique and well-designed hang tag. Some may see them as nothing more than colorful placeholders for UPC codes and price tags, though the savvy business owner understands that they're capable of so much more. Using printed hang tags to accompany your products is one of the most effective ways to convey specific branding messages to prospective customers, while attracting those who might otherwise pass your products over on the shelf. 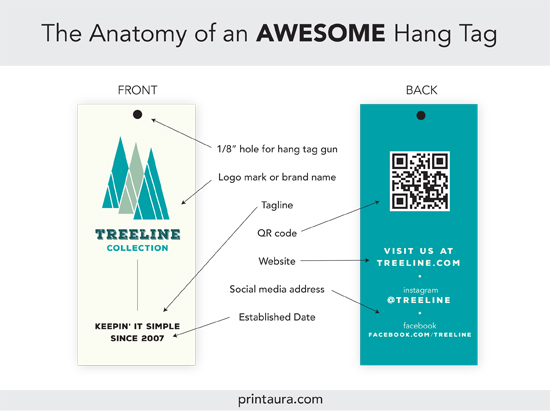 Make your hang tag useful: It’s not just a marketing tool; it’s also a customer assistance and education tool. Including your company’s slogan or a description of your company’s goals is both an informative and personalized touch that can help bring you closer to your customers. 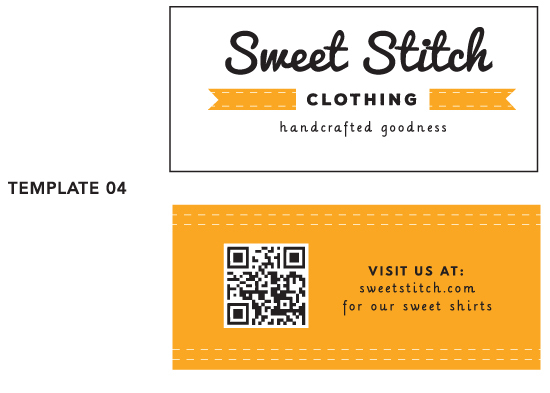 The hang tag is also a great place to include information like your website, phone number or care instructions. Color: Decide if you want a 1 color or full color design. Paper Type: This is the thickness of the paper and what kind of coating on the paper i.e. matte, gloss or UV. Finishing: What size hole to cut; usually 1/8”. Hang tags are attached with a hang tag gun and require a hole, so make sure to include space for 1/8” or 3/16” hole at the top of your tag. 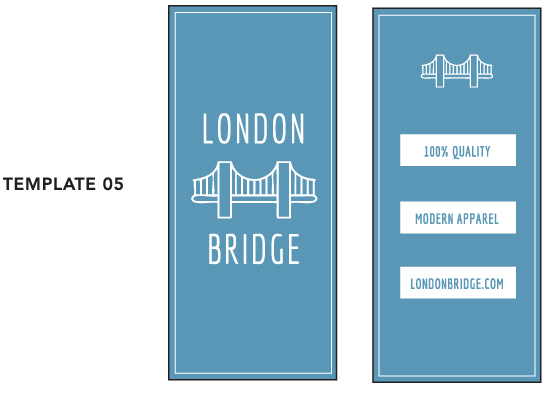 Corners: Rounded or straight corners. 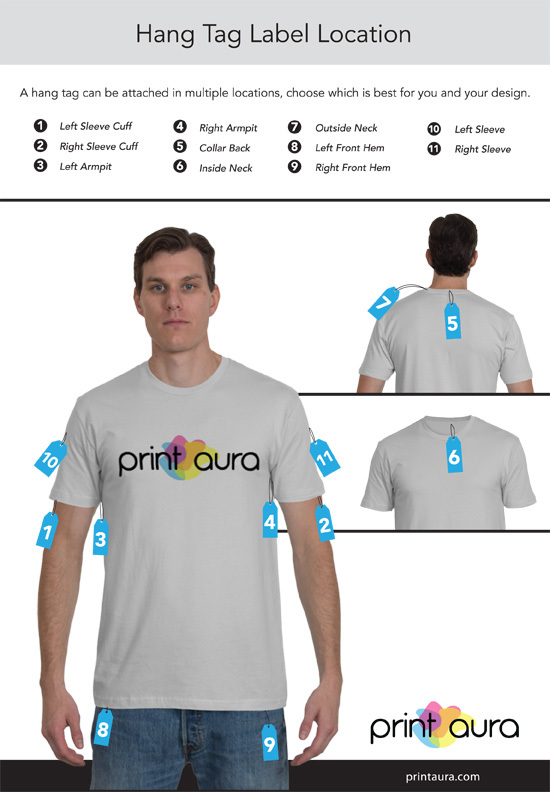 Design Style: You want to tell customers about the amazing design and sweat-wicking fabric used on your new cycling shirt. That’s great. But, please, keep it simple. Too many hang tags are turned into novellas with paragraphs of text describing every detail of the product. The truth is most customers don’t read that stuff. Instead, stick to what’s important, highlight the features, and keep it simple. 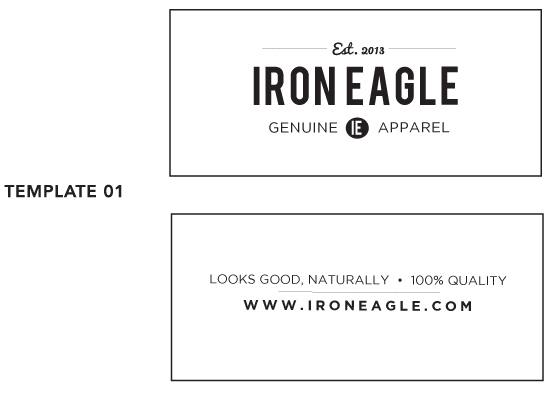 Budget: The cost of hang tag printing varies greatly and depends on shape, size and ink. To cut price but not quality, multiple sites offer standard size printing and even custom shapes that won’t break the bank. Another way to cut cost is to order in large quantities. Typically, the more tags you have printed the cheaper each tag gets. 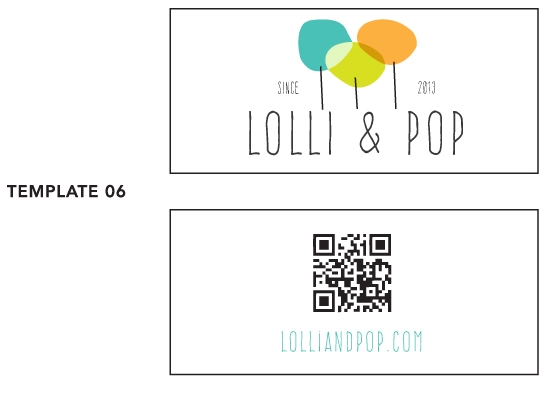 There are lots of places you can have your hang tags applied to your clothing. Below are some of the most popular locations to apply a hang tag.